A while back I posted this quilt in the Fall 2011 Blogger’s Quilt Festival. Which has led to a little feature. A big thanks to Amy of Amy’s Creative Side for featuring a short interview and a few quilts from….. yours truley!! Go on over and check it out if you have a minute. Way to go Karen. Your blog readership should really increase now! Great exposure! I didn’t know you loved black jelly beans! How beautiful all your quilts look in this fine interview. Thank you so much Liz!! I really appreciate your support!! Missed you at the last meeting. Happy New Year wishes. I hope all is well. 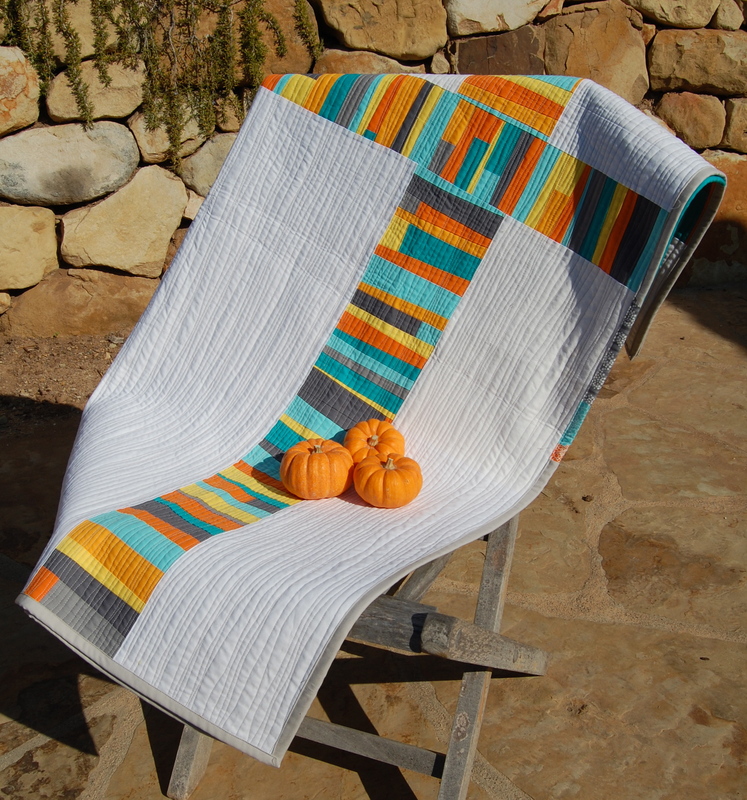 I love the colors in this quilt and its simplicity. Love your work but I can’t find your rss feed!